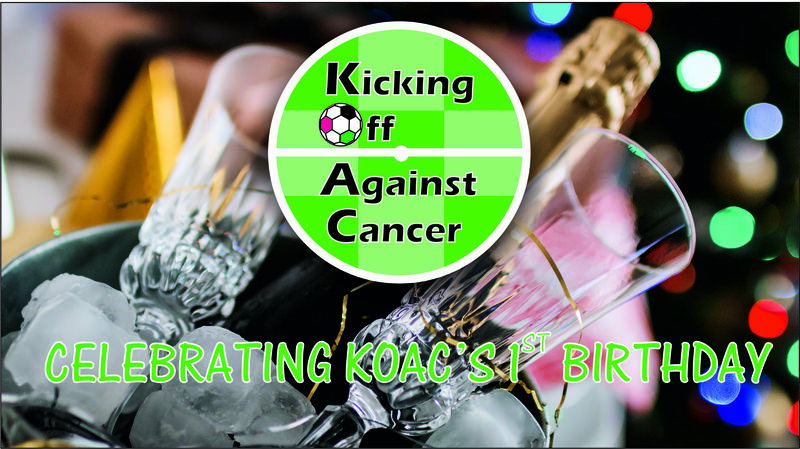 2nd August – This will forever be a significant date for Kicking Off Against Cancer, as it is the date that we officially became a registered charity. Today in 2018 as we celebrate our first ‘official’ birthday, the board of trustees would like to thank all our supporters and fundraisers. We have exceeded all expectations in year one and hope to continue to build on the successes of last year. In summary we have been able to raise thousands of pounds through organised events and fundraiser/supporter donations. We have put this money towards helping several good causes throughout the year, and have several others in the pipeline so watch this space! Thank you and happy birthday to us!